This Victorian style terrace house located close to Brixham harbour has accommodation briefly comprising reception hall, bay windowed lounge/diner and modern fitted kitchen with built-in appliances. 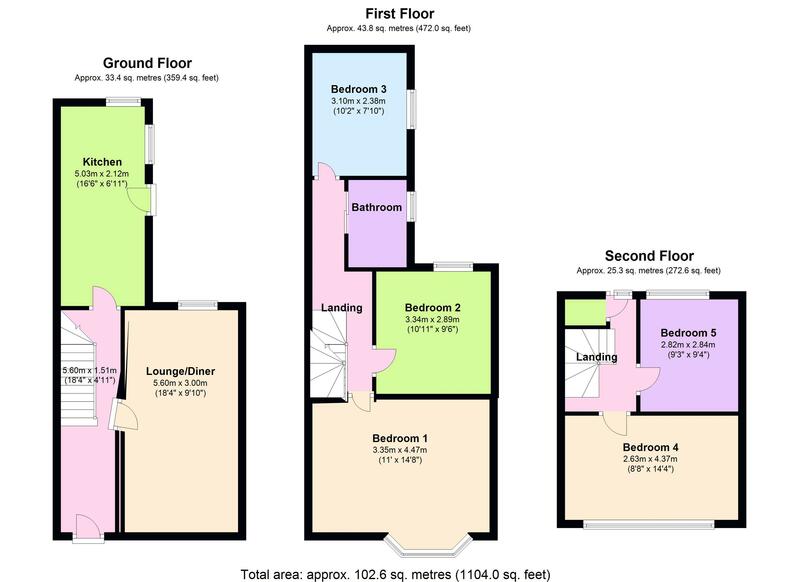 Over the first and second floors there are 5 good size bedrooms and a family bathroom/wc. To the rear there is a courtyard style garden, the property benefits from the installation of uPVC double glazing and gas central heating. The property is situated just a short 200 yard walk from Brixham town centre which boats an array of shops, facilities and amenities and is also just one road back from Brixham harbour. Both primary and secondary schooling are approximately half to three quarters of a mile distant, the main 12 and 13 bus services can be found in the town centre with connections to neighbouring towns of Paignton and Torquay. 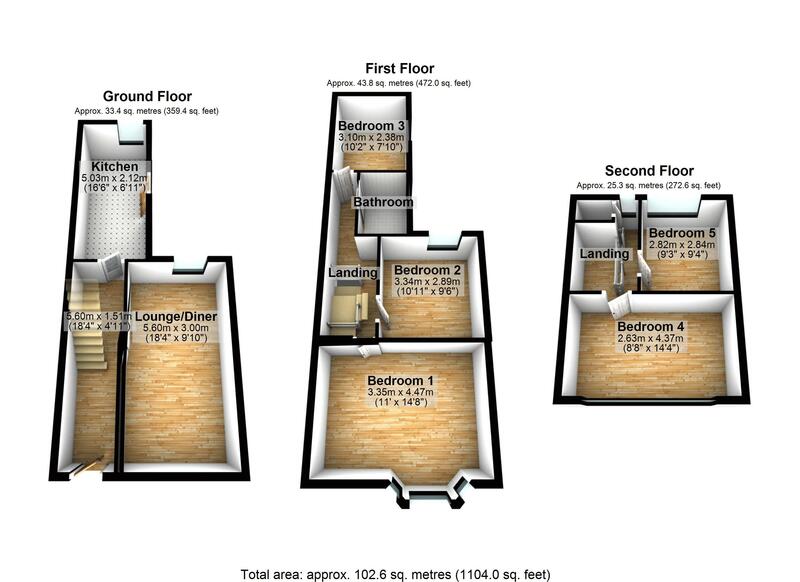 An internal inspection is an absolute must to appreciate the size of the accommodation on offer.